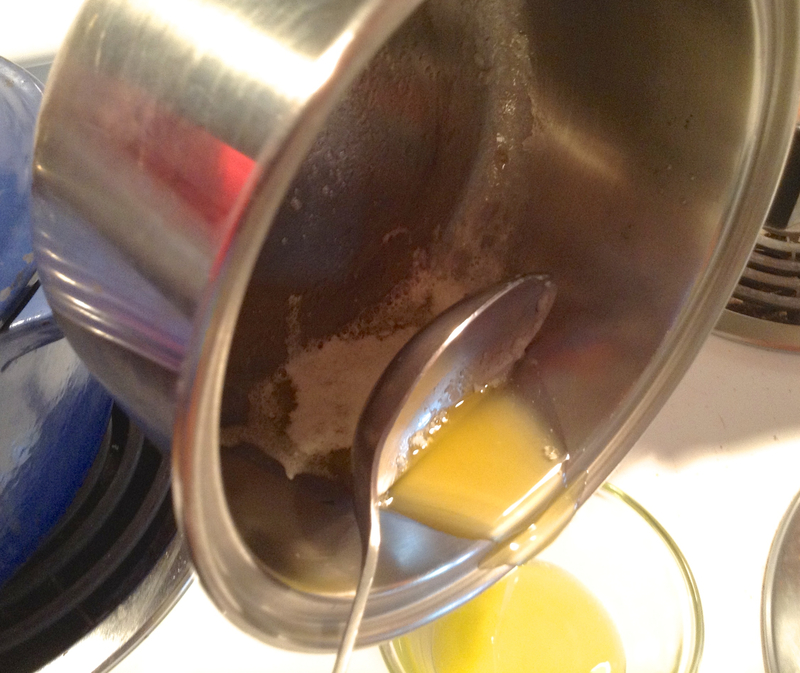 Ghee is clarified butter. Separating the milk solids from butter makes it liquid at room temperature as opposed to colloidal (soft, squishy solid) and renders it more digestible to humans and more stable for high-heat cooking. Ghee is the preferred cooking fat in Indian cuisine and its Sattvic (balance-promoting) roots come from the ancient and sage Ayurvedic school of medicine philosophy. Ayurveda purports that balance through the balancing of chakras – wheels of light and energy that are found along the spinal cord – is the key to optimum health and wellness in body, mind and spirit. Balancing chakras is highly attributable to a health-promoting, Sattvic diet. Use unsalted, grass-fed butter. Place the desired amount in a cold, heavy-bottom stainless steel pot. 3. 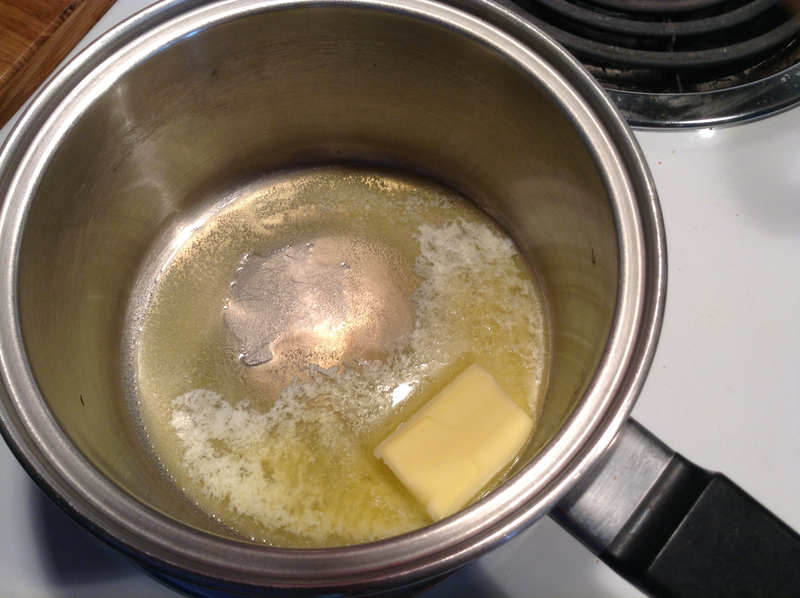 When melted slowly, the butter will separate leaving milk solids to float to the top making a white ‘raft’ on the surface. 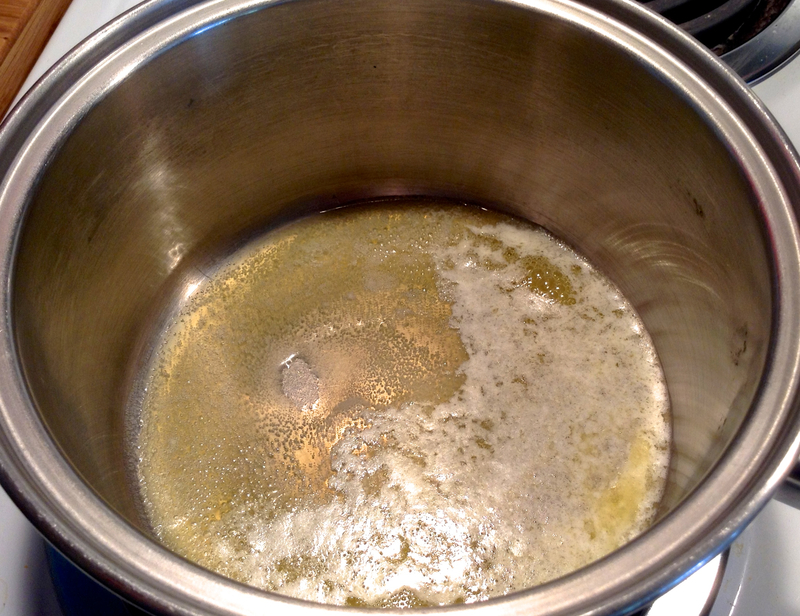 Remove pot from heat and place a metal spoon just under surface and push the white raft to the side. 4. 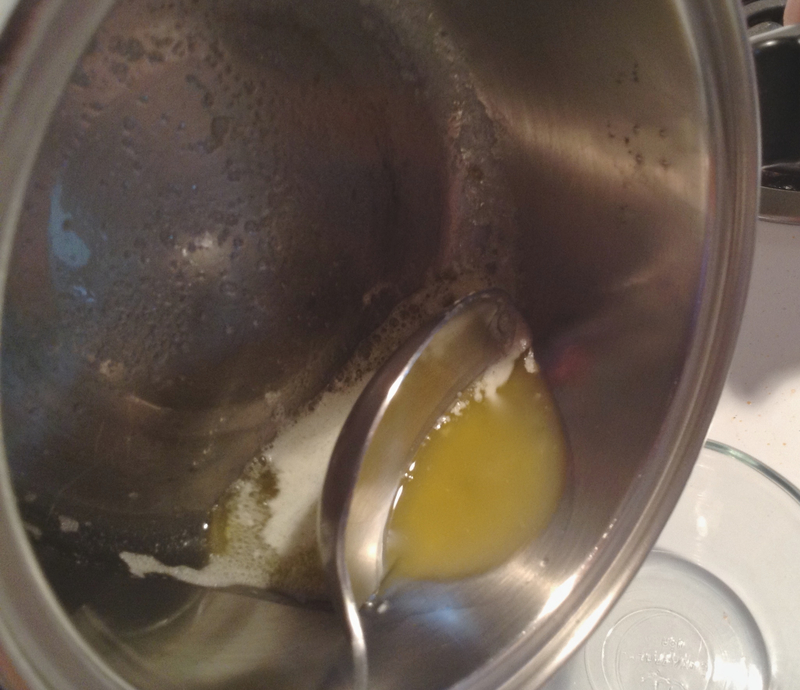 Continue to push white, milk solids to the side allowing the clarified butter to be poured out.